A handful of Navy medical personnel got to witness a bit of history when several 550-year-old patients came through the door last month for some lab work. That’s right – 550 years old, plus or minus a few years. The patients were Peruvian mummies, one adult and four young children, according to the Navy. Their April 27 arrival at Naval Medical Center San Diego for some tissue and bone scans came courtesy of a joint project with the San Diego Museum of Man, which hopes to learn more about what sorts of ailments and health issues these Peruvians faced when they lived all those centuries ago. 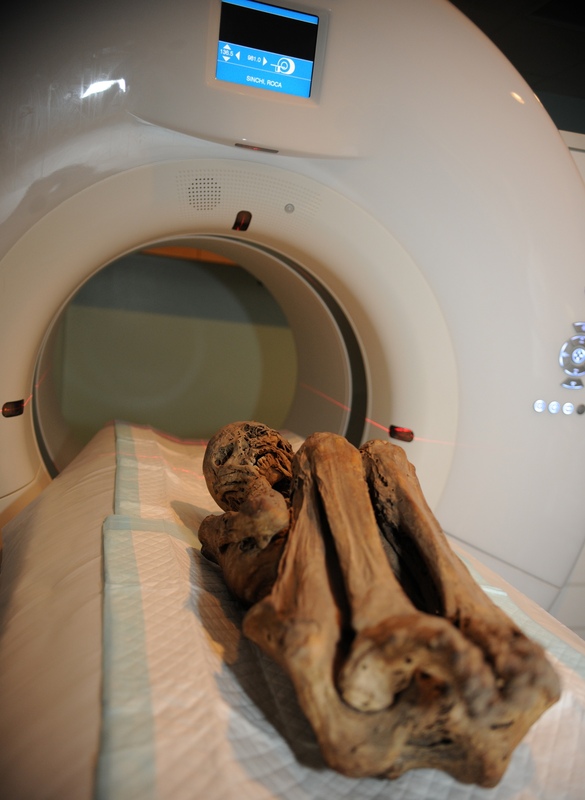 The mummies, who were recovered by anthropologist Ales Hrdlicka in 1915, were placed, one by one, in the Computerized Axial Tomography, or CT, machine for the scanning process. The project provided some real hands-on training for the medical center’s advanced lab equipment called a Flash Dual Source 128 CT scanner, which takes much more detailed images of bones and tissues than older, single-source scanners. 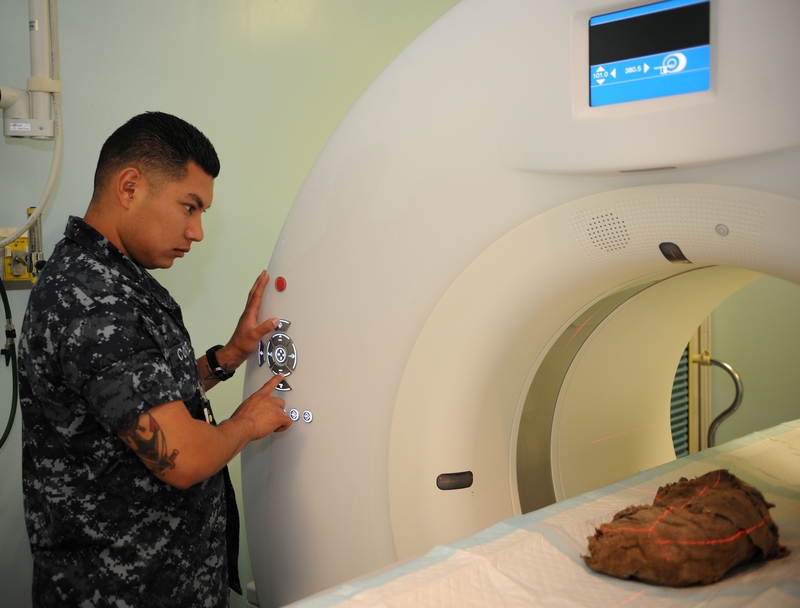 In fact, the medical center has the only dual-source scanner in San Diego County, according to the Navy. No doubt it’s become a well-utilized machine for patients far, far younger in age than these Peruvians. Of course, it is probably best not to wait too long for that doctor’s visit. Wow, that’s pretty interesting and quite an opportunity! Shades of the tv show, Bones!